Don Octane’s new Polo R30 Turbo 4 motion. We have seen these guys before with an older model polo. But this year they cameback with something new. They put a R30, formal R32 engine into this Polo 9N3 and made it even a 4wd! 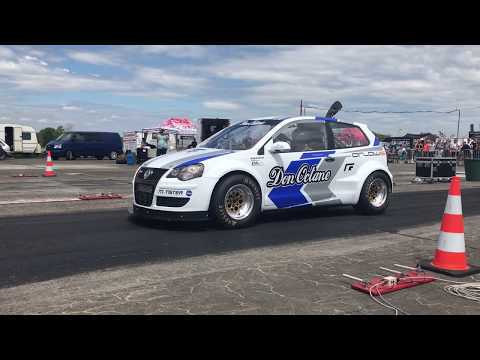 Watch the video below to see tjis badass polo doing a 8.834 run on the 1/4 mile and leave a comment below.